Hello! 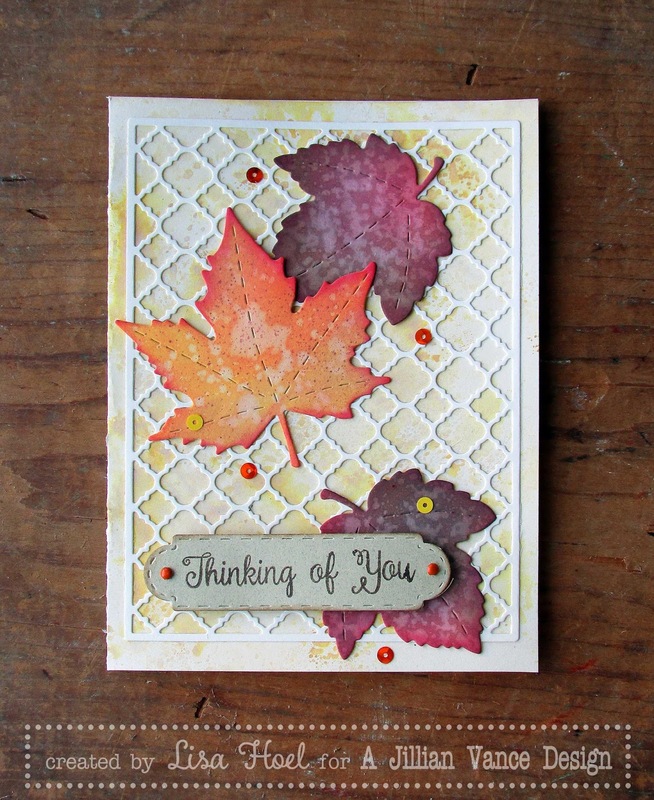 Lisa Hoel here with another fall card. I am really enjoying all the trees turning colors around here. The leaves are so beautiful! 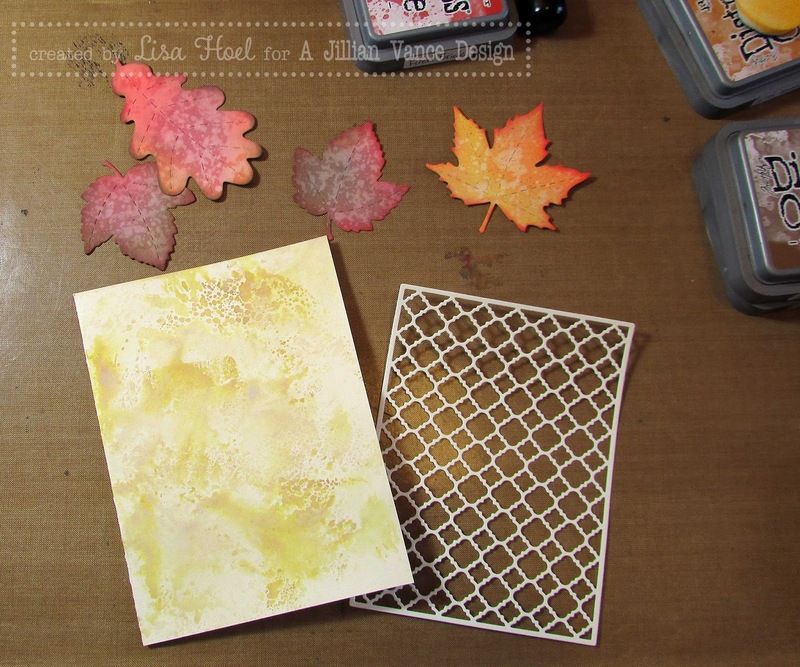 The Grand Leaf Trio die set is perfect for creating my own fall leaves. My love for Distress Oxide inks continues. ;-) I used them to create the card background and the paper I cut the leaves out of. The background is a combination of Antique Linen and Fossilized Amber Oxide ink. I layered a cut from the Quatrefoil Cover Plate die over it. 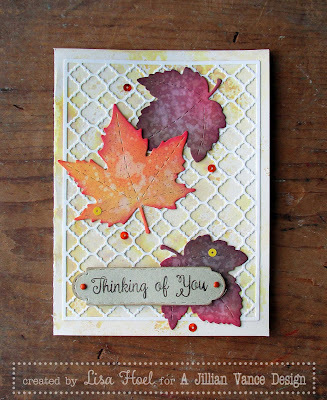 The leaves are a combination of Wild Honey, Vintage Photo, Walnut Stain, Candied Apple, Fired Brick and Spiced Marmalade inks. Oh my goodness!! That's such a gorgeous, luxurious fall card !